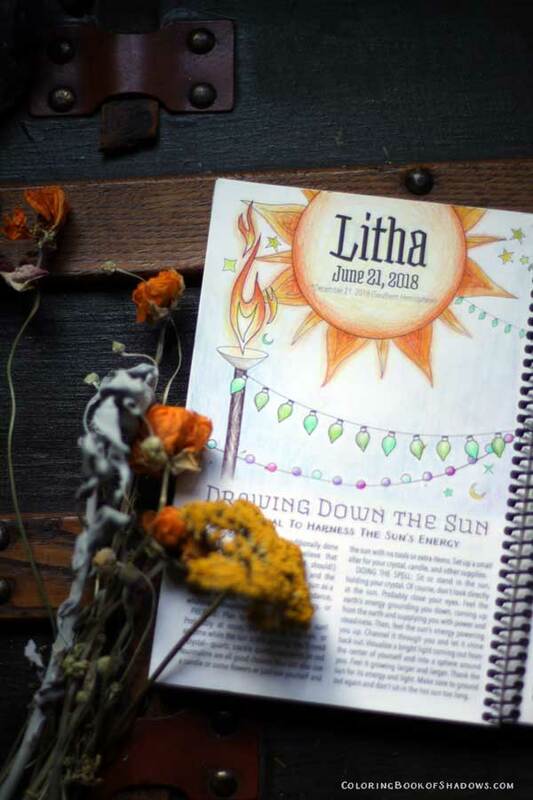 Litha “Drawing Down the Sun” colored with a pale blue “daytime” background. 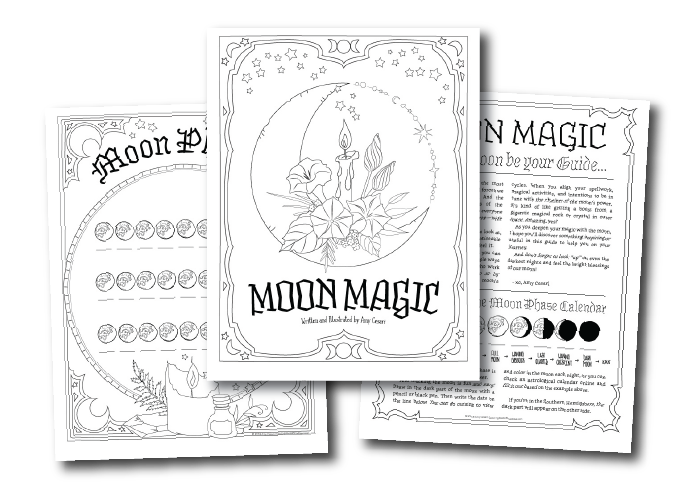 June Moon colored in pale pink, purple, and blue. 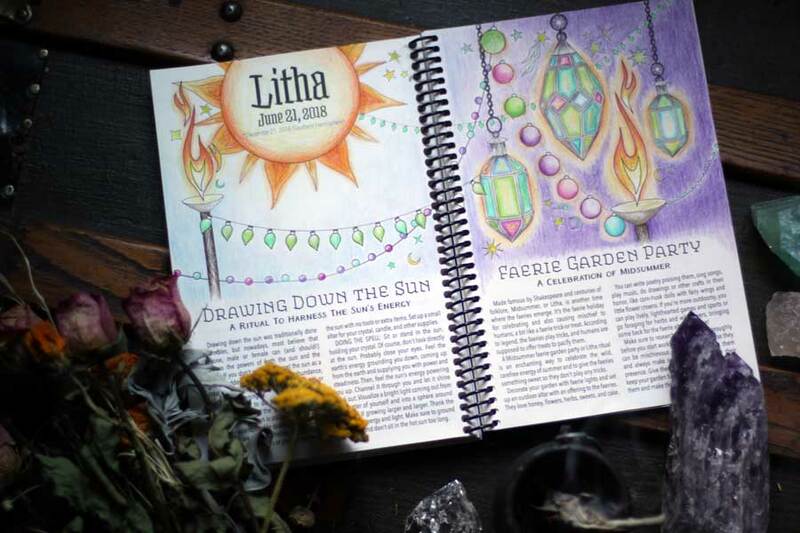 The second Litha Spell – Faerie Garden Party! I was going for a “night time” look with the purple background. 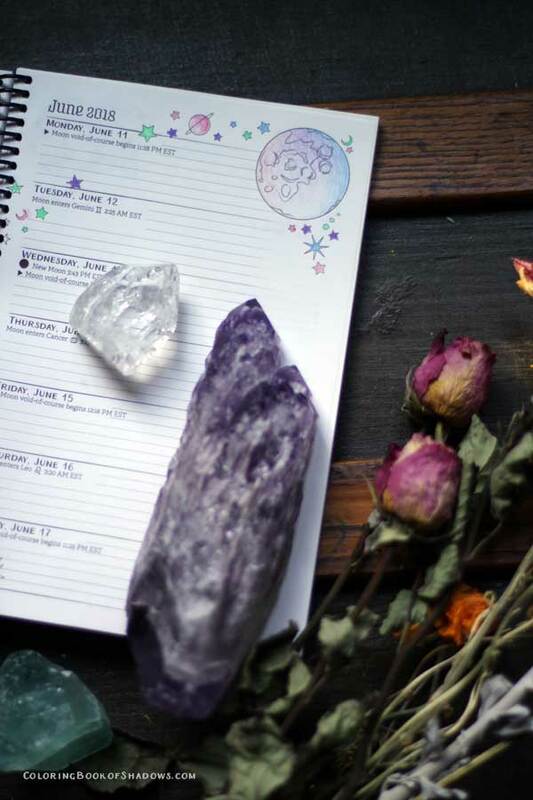 A June Calendar and magical Correspondences! 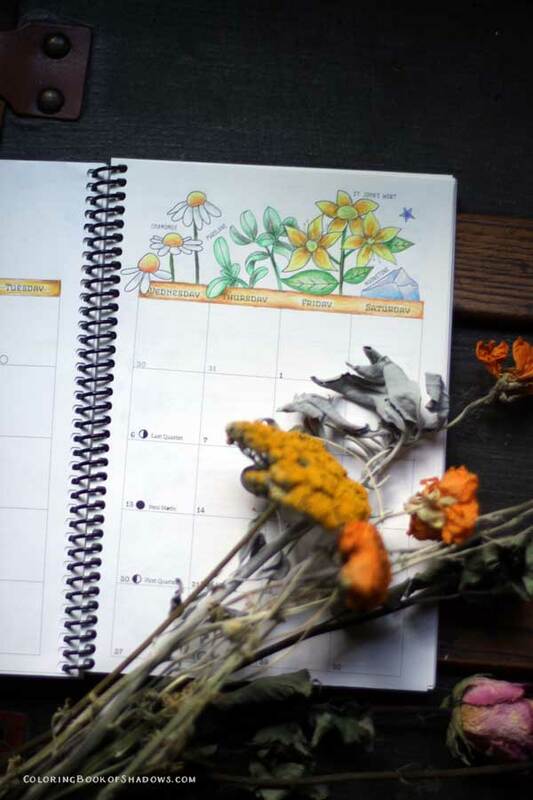 The Moonstone was my favorite part to color. 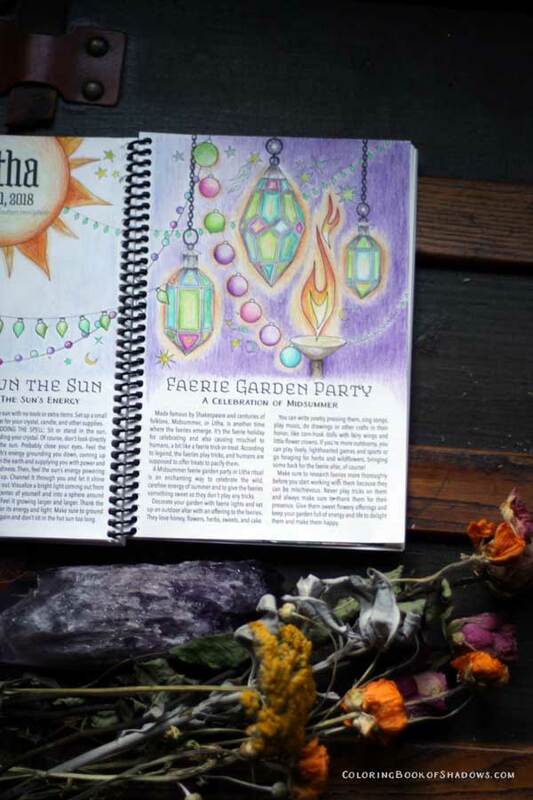 And have you seen Witch Life?! 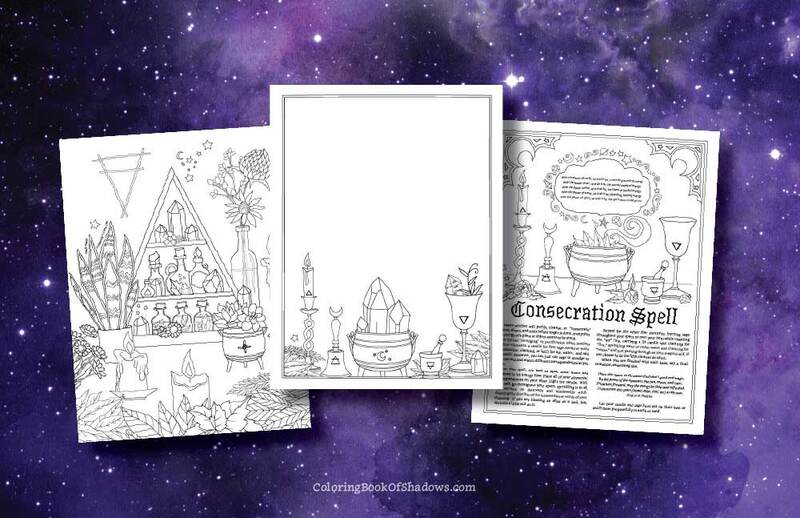 Part coloring book, part spellbook, all magic!